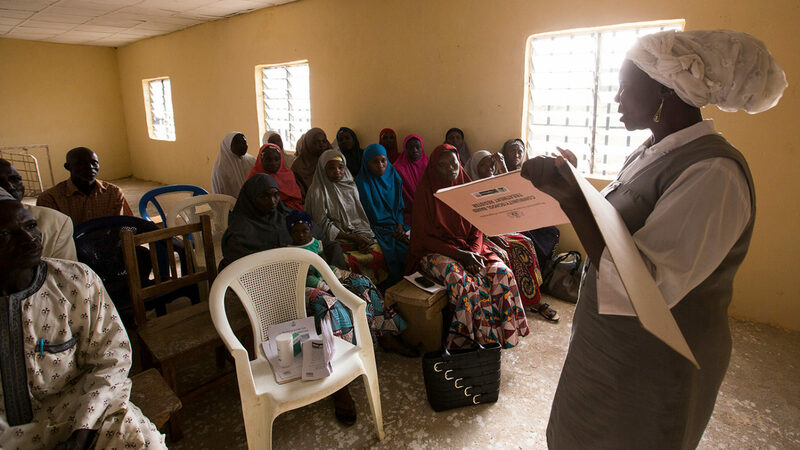 For the past six years, the UK aid-funded UNITED programme has been tackling neglected tropical diseases (NTDs) in Nigeria. 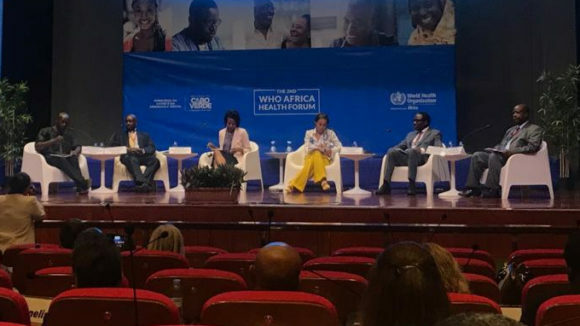 The country carries around 25 per cent of Africa’s burden, making it one of the most endemic countries in the world for these debilitating conditions. Led by Sightsavers and delivered by a consortium of partners, UNITED takes an integrated approach meaning that it treats several NTDs at once. The programme has also been focussed on improving Nigeria’s healthcare systems to ensure NTDs can be effectively treated and prevented in the long-term. 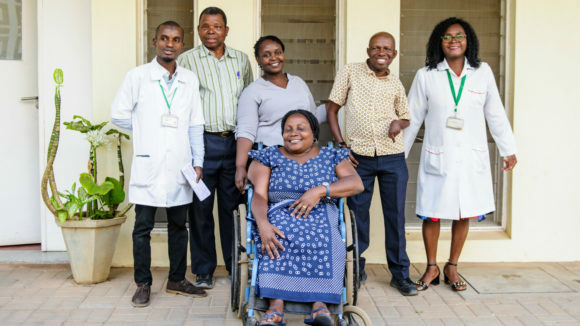 When UNITED closes this year it will have delivered more than 152 million treatments for up to five NTDs – nine million more treatments than envisaged. It will also have made considerable progress to eliminate a number of NTDs in Nigeria. 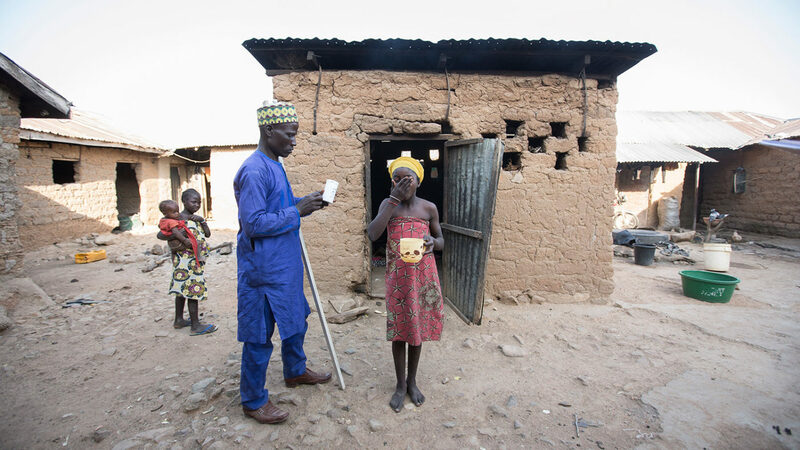 For instance, in Kaduna, Kano and Niger, the spread of lymphatic filariasis has been stopped in 13 local government areas, meaning 2.9 million people are no longer at risk of this painful condition. We have also pioneered trachoma and schistosomiasis treatment in Kano, Niger, Kaduna and Katsina, the latter having never carried out mass drug administration (MDA) before. Two of these states have now reduced trachoma to such a level that they are ready to begin assessing whether the disease has been eliminated. As we celebrate our achievements, it is important to understand how we got here. Delivering integrated treatment on such a large scale means being constantly prepared to adapt our programming. Things evolve over time, and we have to respond, whatever situation comes our way – it’s all about understanding the issues and finding practical solutions to get the work done. Underpinning all this is the need for regular dialogue between Sightsavers, which coordinates the work, and UNITED’s network of partners, because without effective communication there can be no understanding. Watch the video below to find out more about the programme. 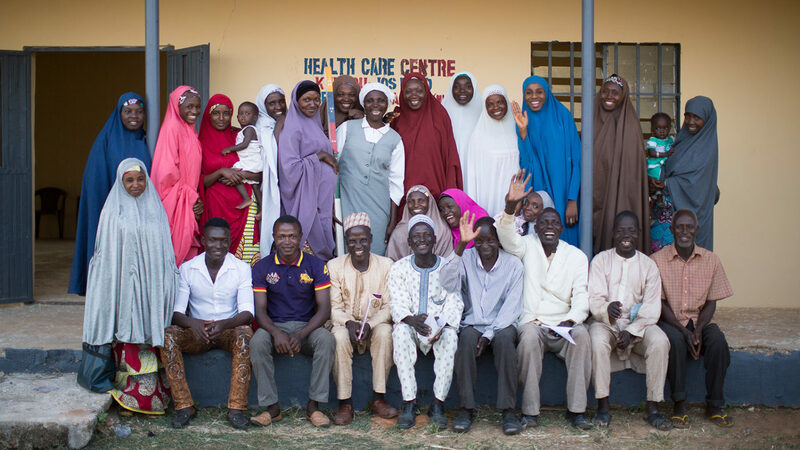 The UNITED project, funded by UK aid, has delivered 152 million treatments in Nigeria to tackle neglected tropical diseases. So what has the UNITED programme taught us? One of the greatest challenges we have faced is delays in medication being shipped. Drug applications are made to the pharmaceutical companies collectively, at a national level between 32 states. We only work in five of the 32, but if other states do not submit their reports and requests on time it is difficult for the national programme to consolidate, and the drug application will be delayed. This issue is further complicated by the fact that we treat two or three NTDs at the same time. The medication we need to co-administer is donated by different pharmaceutical companies, each with different shipping and approval timelines, so coordinating the shipments so different medication arrives at similar times can be difficult. To do this, it is essential to build good relationships with the federal ministry responsible for bringing drugs into the country, helping them to understand the affect that delays will have on treatment. The issue of drug shipments is complex: sometimes we can influence the situation and sometimes we can’t. When shipment delays were inevitable, our solution was to fast-track treatment once the medication arrived. When the medication used in an MDA arrives at a community, that community is in charge of when and how they distribute it, a process that used to take four to six weeks. In response to shipping delays, we decided to reduce the period for drug distribution. We followed this up with intensive monitoring and supervision – asking questions, making phone calls, conducting visits to ensure things were on track – and it worked. We tackled a recurrent situation that was outside of our control by finding a way to work around it, and the MDAs went ahead at a faster pace, enabling us to regain important lost ground. 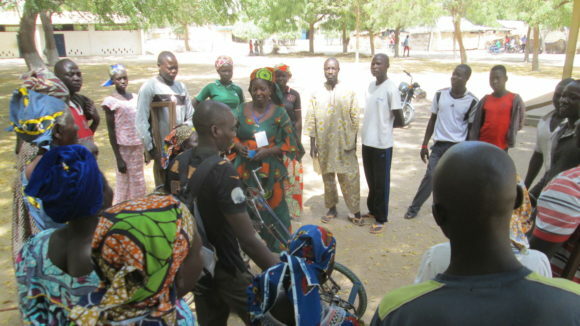 Community designated distributors give out treatments to fight neglected tropical diseases. Insecurity is another challenge we face, but taking a flexible approach has enabled us to continue our work. In the past year, particularly in Zamfara state, armed banditry, kidnapping and cattle rustling increased, making some places totally inaccessible. But as the programme is embedded within the local health system, we were able to develop relationships with those working in difficult areas. For instance, we began working with the National Youth Services Corps: university students who provide a year of national service after graduating, and live in every nook and cranny of every state. We trained a number of these graduates, who were then able to work in places we could not enter. By responding in this way, we found a path around the issue and treatments continued as planned. Community designated distributors receive training before mass drug administration. Fairly early on in the programme, we realised that literacy levels in some of the more remote areas where we were working were fairly low. In some cases, it was hard to find volunteers or even health workers who were literate, meaning distributing medication was problematic. For treatment to succeed in these areas, we realised we needed to adapt. We began by asking able volunteers from one community to support volunteers in other communities whose literacy levels meant they were struggling to document the drugs being issued. As time went on, we began pairing volunteers who were able to write with others who could carry the dose pole and distribute the tablets. By shifting tasks in this way we were able to deliver what we needed. We learned of this issue through one of our quarterly partner meetings. These meetings are an effective way to keep partners engaged, share lessons, issues and risks, and agree ways forward. We also ask our partners to provide monthly status updates, which we follow up with Skype calls. During these discussions we are able to get to the facts behind the figures; to find out what the issues are, why some things work and why some things don’t, and what could be done differently. All these forums provided opportunities to standardise our approach across the five states. If people can see something working elsewhere, they will be more willing to adapt and try new things. The huge success of UNITED is testament to the power of flexible and collaborative working. But with Nigeria still carrying 25 per cent of Africa’s NTD burden, more support is needed to ensure things keep moving forward. 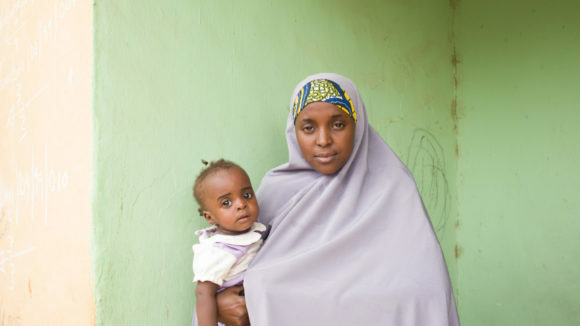 As we seek to secure support for further activities, the lessons we’ve learned through UNITED will help us design and deliver future NTD services and programmes, enabling Nigeria to move faster towards a future free from these debilitating conditions. Safiya is International Development Practitioner at Sightsavers, and is based in Sightsavers’ Nigeria office.